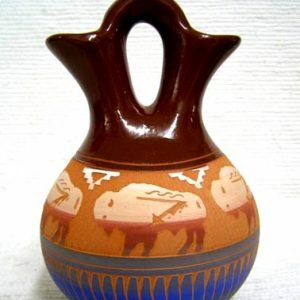 This beautiful red clay pear-shaped pot with traditional etching has a wonderful butterfly carved into the clay on both sides of the pot. 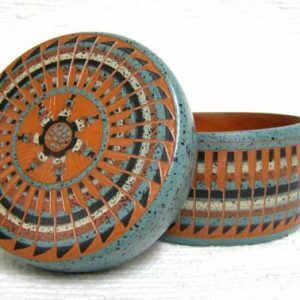 This pot is glazed on the inside and can hold liquid. 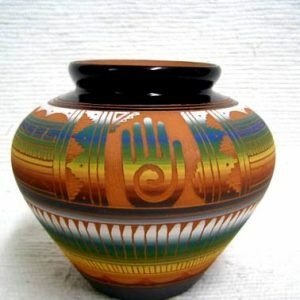 Signed by the Navajo artist, Gray. 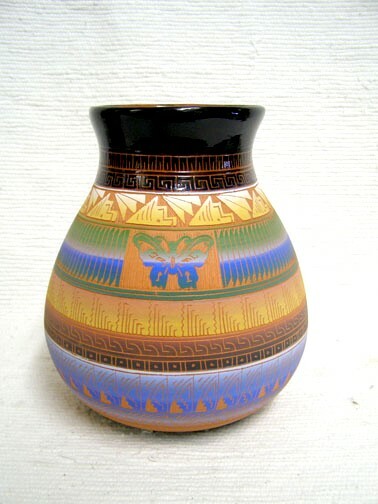 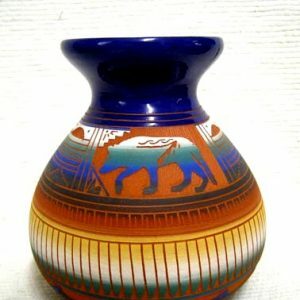 This pot measures 9 inches tall by 7 inches in diameter.